Are there any scholarly articles that have history on discrimimnation? I want to do a deep research on discrimination in general and show some examples of it through out history, gender differences and areas too. There is A LOT of research available on discrimination. At this point in your research you would do better to focus on a certain demographic to see what research is available. For instance, if you wore interested in learning about antisemitism in France you would go to the main library page at library.brenau.edu and use the articles tab to search antisemitism AND France. 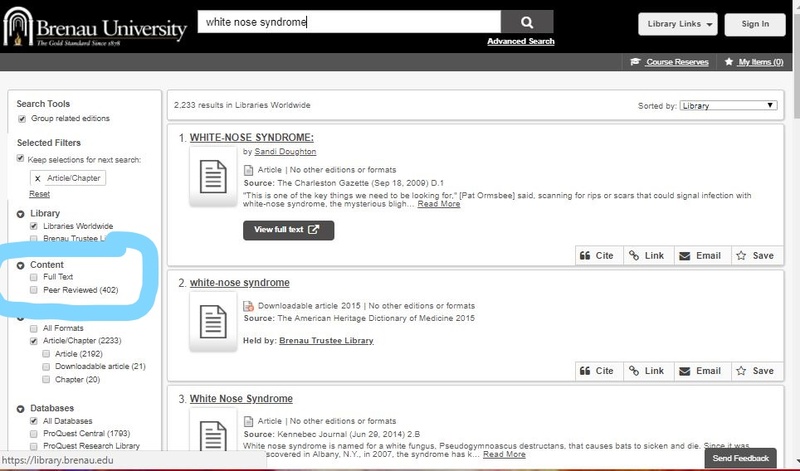 When you get to your search results, you can use the limiters on the left of the screen to narrow your search to peer reviewed articles. This search pulled up 93 articles.